Oil and gas companies spend a lot of time and money reminding us just how much good they’re doing in the world. But according to a new Gallup poll released yesterday, when it comes to fracking, the American people aren’t convinced. Production is booming and prices are the lowest in decades, due in large measure to fracking and a suite of other technological innovations that have led a revolution in production from ‘unconventional’ sources of oil and gas in the U.S. In particular, the rapid increase in natural gas production is providing a boon to consumers and helping to reduce our dependence on coal, which in turn has helped reduce carbon dioxide and other pollution. 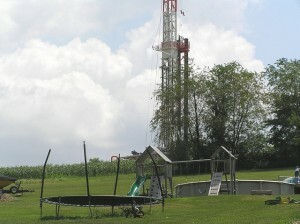 And yet the new poll shows that just 60 percent of Americans surveyed are either opposed or undecided about fracking. And with rare exceptions, the industry never misses an opportunity to fight better oversight. 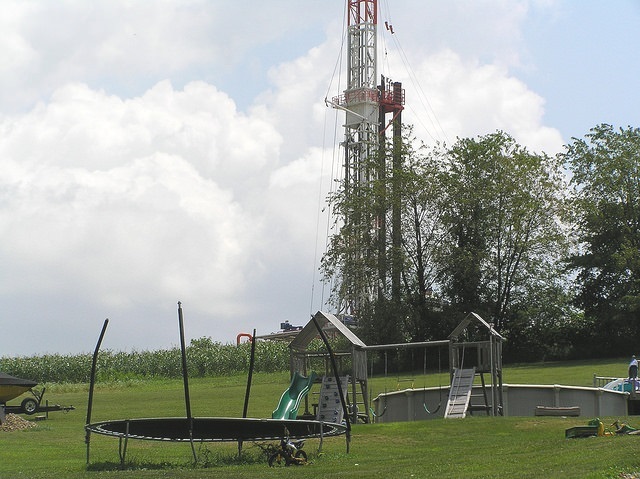 In fact on the same day the poll was published, oil and gas industry lawyers were in court to block sensible federal regulation of fracking on public lands, and their lobbyists were railing against Pennsylvania’s efforts to improve oversight of the industry’s water and waste management practices. The industry ought to be concerned about all this. But mostly, they have been dismissive of the problems they face in the communities where they operate. It’s true local activism can sometimes take an alarmist tone that’s easy for some to write off. But it is a big mistake to think the majority of concerned voices speaking out today are coming from the lunatic fringe. In my experience, many of them are actually supportive of domestic oil and gas development. But they are understandably concerned about an anything-goes mentality when it comes to air and water pollution in their neighborhoods. For most of these folks, the goal is simple: They want meaningful oversight and real accountability. But if they can’t get that, they’re a lot more likely to start drawing lines in the sand. Just ask the citizens of Denton, Texas, where 59 percent of the voters checked the box to ban fracking altogether. The considerable public relations campaigns funded by the American Petroleum Institute and America’s Natural Gas Alliance have earned the industry a core constituency in support of ‘fracking’ but 60 percent of Americans aren’t buying it. So, here’s an idea: Rather than doubling down on a strategy of fighting all manner of reasonable regulatory oversight, let’s choose a different path. For starters, how about we pick an issue – methane pollution, for example, and work together to get a sensible regulatory framework in place? Instead of betting that the good news economic story absolves it of the need to be responsive to community and environmental concerns, the oil and gas industry should embrace oversight and accountability as necessary to earn and keep the public’s trust. Perhaps then, those who are undecided, and those who are opposed will have reason to reconsider their views. Photo credit: Nadia Steinzor, Earthworks. This entry was posted in Natural Gas. Bookmark the permalink. Both comments and trackbacks are currently closed. We are great fans of IEHN’s work. Thank you, Rich.